Home equity refers to the home’s market value versus the outstanding balance of the mortgage and liens on the property. Typically, a property’s equity increases the more a homeowner makes payments on their mortgage. However, equity is volatile and can be affected by a changing housing market. Therefore, a homeowner could potentially lose equity (despite making payments) if their home’s reasonable value drops dramatically. Equity, by definition, is assets minus liabilities. However, various types of assets exist, per Investopedia. In this instance, equity refers to the home (the asset) versus the mortgage and liens on the home (the liabilities). Basically, equity refers to the amount the homeowner would receive after they sold their property and satisfied all existing loans. This includes any second mortgages taken on the home as well as any home equity lines of credit (HELOC loans). What is a Fair Market Value? Fair market value (FMV), is the price a person interested in purchasing a home would pay to the person selling that home. To establish the FMV, a real estate agent would make a market comparison of homes similar in size and value in the area. Then, they would determine the market value based on inventory, competition, and current rates. The market analysis, however, is not an official appraisal. While a homeowner could have a formal assessment done to assess their real equity, this costs money. If they are already in the process of selling the home, the real estate agent’s market analysis is accurate enough to price the home. Then, the lender will perform an appraisal after an offer is accepted to ensure that the purchase price meets the FMV value. Equity takes on an entirely new meaning for a real estate investor. While the investor obviously wants a profit, before investing or before turning an asset, they will assess two important numbers: the private equity amount and the debt to equity ratio of the real estate. For investment purposes, private equity refers to a class of assets that consist of the debt investment and equity investments in that property, says Wikipedia. Investments may include repositioning, releasing, and redevelopment of properties. The investments are made through a private equity real estate fund, which pools resources from various real estate investors. Most of these investment funds will go for 10 years but have a two to three-year investment period. 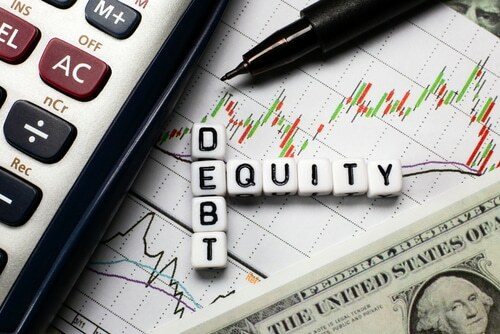 The debt equity ratio in real estate is more complicated and focuses on four critical areas. This is the calculation that refers to the amount a property is worth versus how much is owed on that property, says SF Gate. The calculation involves taking the home’s value and the mortgage balance to find the difference. That difference is then divided into the mortgage balance to answer the equity ratio. The rate then comes down to a dollar amount per every $1 the property is worth. The lower the equity number, the better shape a homeowner is in. When assessing real estate investments, the fraction of what is borrowed versus what is owned is critical. A lender is more comfortable with a lower equity ratio, and an investor is more likely to purchase a property or invest in a real estate pool that has a shorter equity ratio. The ratio will consistently change with the current market value of the home. As the market sways, so will the proportion. 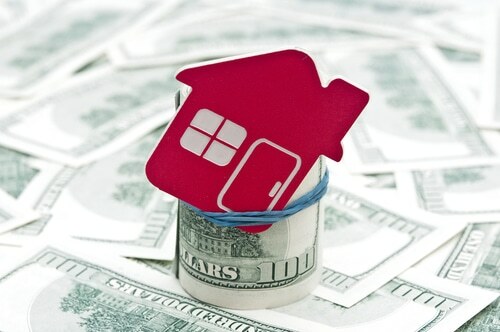 Therefore, the best protection a homeowner or investor has is to pay down their balance owed. Some investors increase their debt-to-equity ratio, per Marcia Darvin Spada in New York Real Estate for Salespersons, Special Education. In her book, she states that increasing the rate on an income-earning property ensures more liquidity in cash, which increases the annual return. Equity is an asset. Therefore, it is considered available cash to the homeowner if they were to take out a loan or line of credit against that asset or sell the property. Knowing the equity of a property is important so that a homeowner knows how their investment is performing.